Ginger is a commonly used ingredient in Indian Food. Many people might not know but Ginger is one of the healthiest natural food available in the world. Ginger is a flower whose extended underground stem( rhizome ) called Ginger Root is popularly used in preparing food. It has so many proven health benefits and adding it to our daily food can make a lot of difference in our life. Let's see what are the health benefits of this spice. Ginger Root contains Gingerol which gives Ginger most of its medicinal properties. Ginger is a very powerful Anti-Oxidant and Anti-Inflammatory agent. Inflammation is natural in the human body but if it becomes chronic it can cause heart & other diseases. Thus taking Ginger in small quantities every day can help you in living a healthy life. If you are dealing with morning sickness or nausea then Ginger can be the remedy for you. Try having ginger in your morning tea and get yourself a healthy start of the day. Because of Ginger's Anti-Inflammatory properties, it also helps in reducing muscle and joints pain. One fresh Ginger can help our body to get rid of Cold, as Ginger has anti-fungal and anti-bacterial properties. So next time in the flu season, have your fresh Ginger ready with you. There was a 45 day study done on 85 people with high cholesterol where 3 grams of Ginger Powder caused visible reductions in cholesterol levels. Ginger can really do wonders. Because of a substance 6-gingerol, Ginger can help in preventing several forms of cancer. 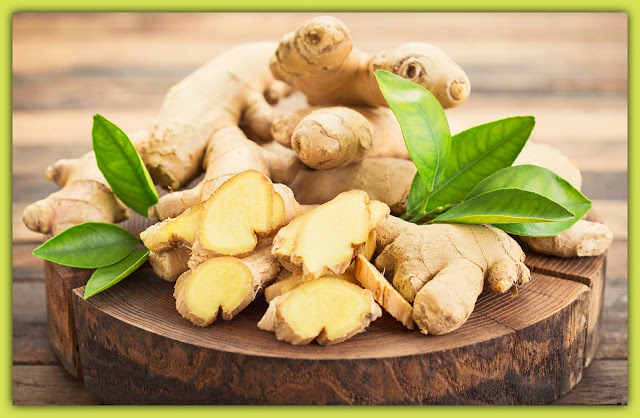 Cancer is one of the most life-threatening diseases of the last few years & if these small changes in our food style can help prevent that, then why we shouldn't eat Ginger. One study has proved that Ginger can be as effective as ibuprofen when it comes to menstrual pain. Next time if you encounter menstrual pain, give Ginger a try. Note:- Please take a note that we are not medical experts or licensed professionals even though we make our best efforts to give the accurate knowledge and right advice on the article. Read Our Website Policies Here. I hope you have like the post. Share with all your friends & family who loves Mangoes & who doesn't yet. If you are not following me still do follow on Khushi's World Facebook Page, Instagram and Pinterest for more Posts. I will see you in next post till then take care.